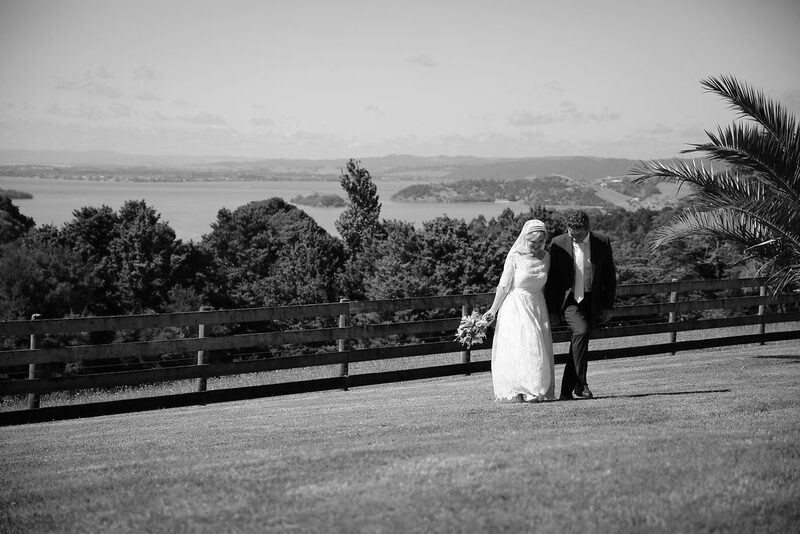 Kauri Villas is the perfect location for your boutique wedding and honeymoon. 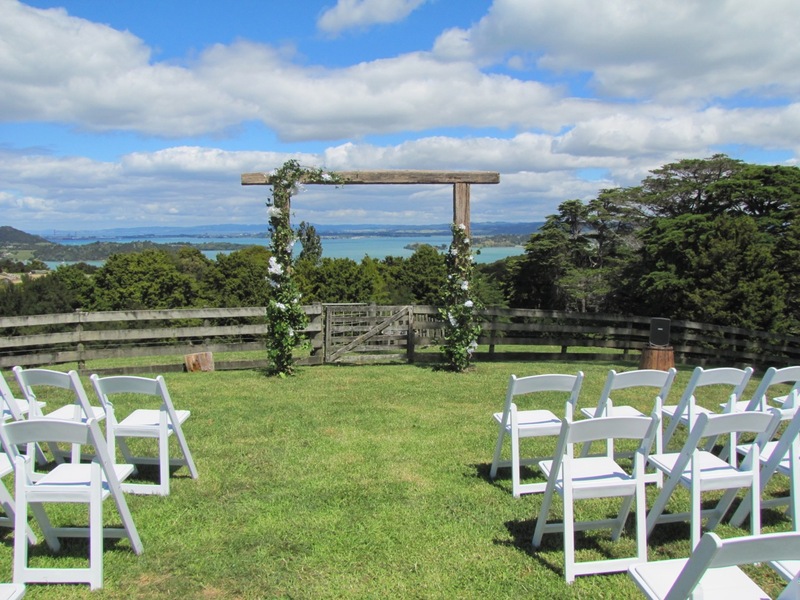 For an intimate, memorable and worry free wedding, Kauri Villas should be your first choice. We will work closely with you to create the wedding of your dreams, exactly how you always imagined it to be. Our spacious suites are the perfect place to get ready for your special day. Your hair and makeup can be done on site, eliminating the need to travel. From the moment you step through the rustic arch onto a shell path framed with white roses, your dream wedding becomes a reality. 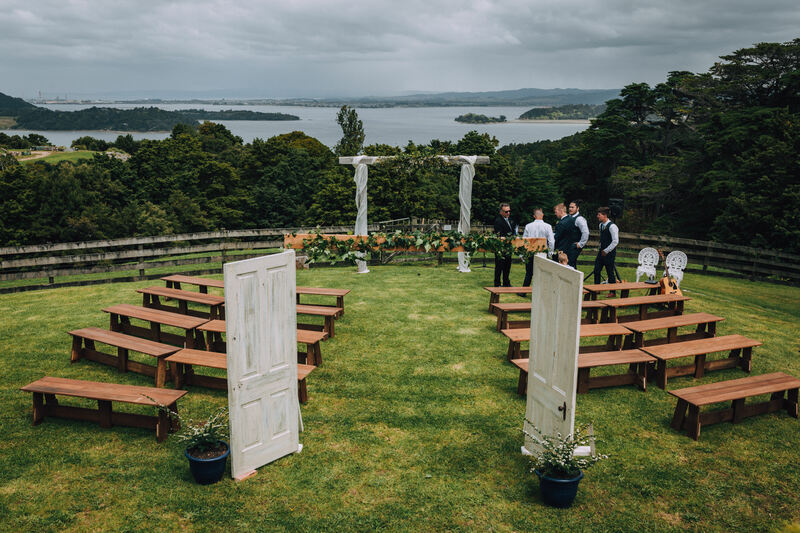 Panoramic views over beautiful Parua Bay and the harbour create the perfect backdrop for your special day. 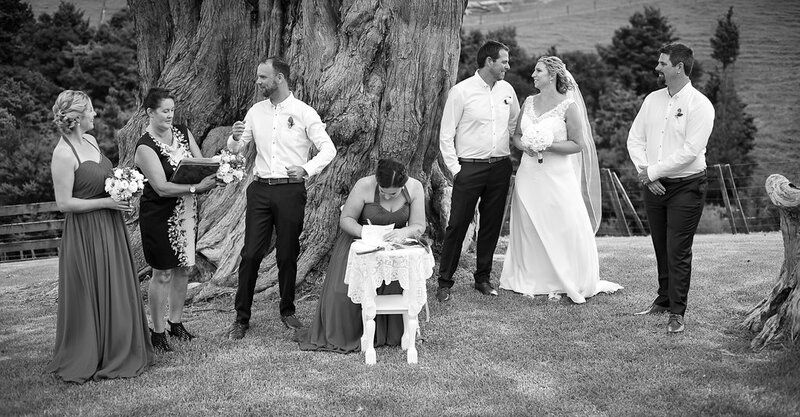 The native bush, beautiful gardens, and of course the villas themselves with their olde world charm, make for stunning wedding photos to capture those lasting memories. 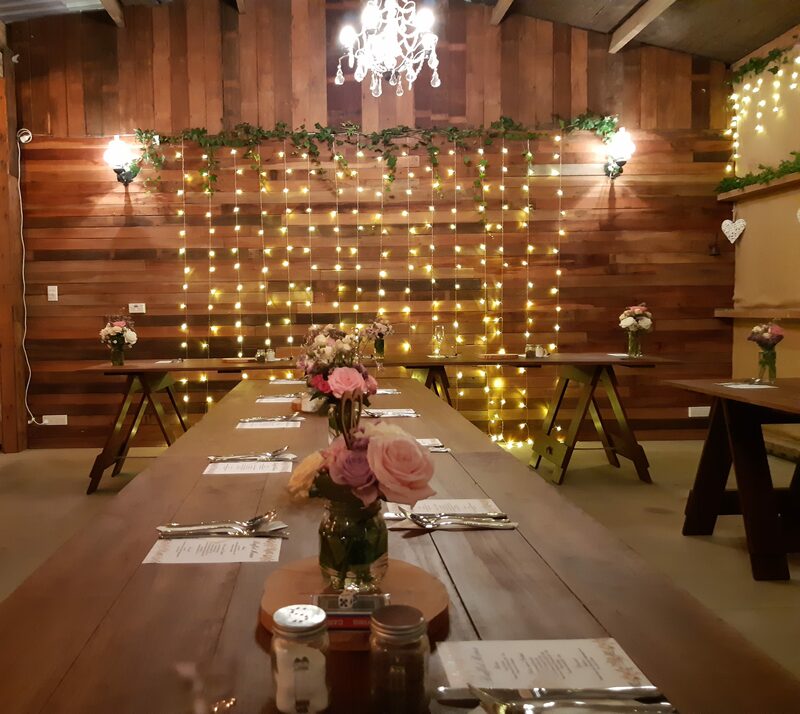 For your wedding ceremony with optional refreshments on the lawn, followed by a reception in our rustic barn for up to 50 guests. 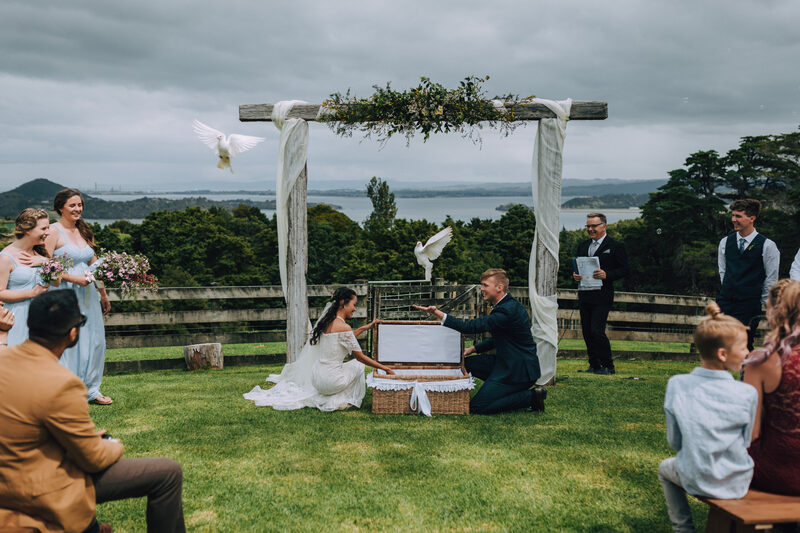 This package includes one nights accommodation on the eve of the wedding for up to 8 guests, and one nights accommodation on the night of the wedding for up to 16 guests. Breakfasts included both mornings. For your wedding ceremony with optional refreshments on the lawn for up to 50 guests. This package includes one night’s accommodation incl. a delicious full cooked breakfast for up to 16 guests. Additional nights accommodation can be booked if required. Please contact us to arrange a time to visit Kauri Villas for a free no obligation quote. 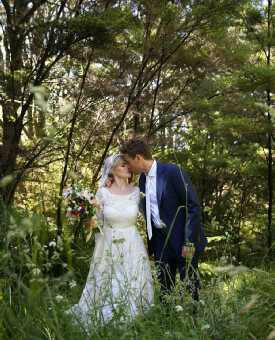 We offer elopement packages for either 4 or 8 guests including the bride & groom. 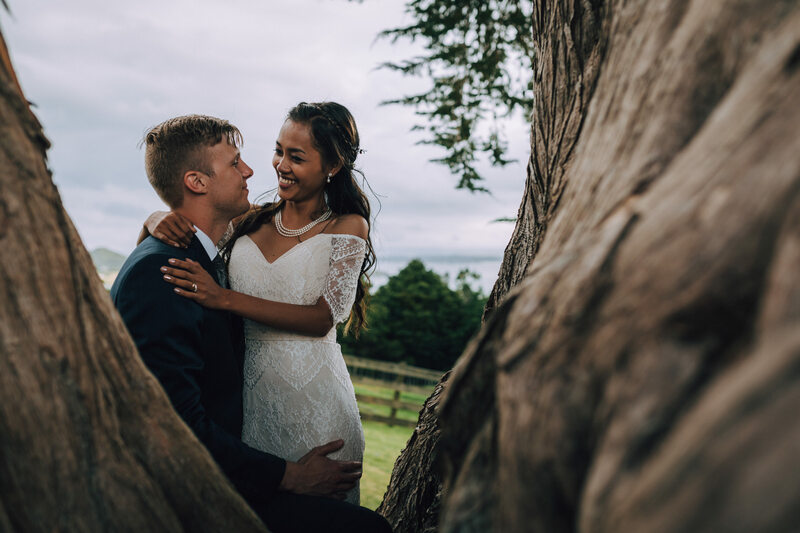 These packages include your wedding ceremony either on the lawn overlooking Parua Bay, or in our villas or rustic barn. 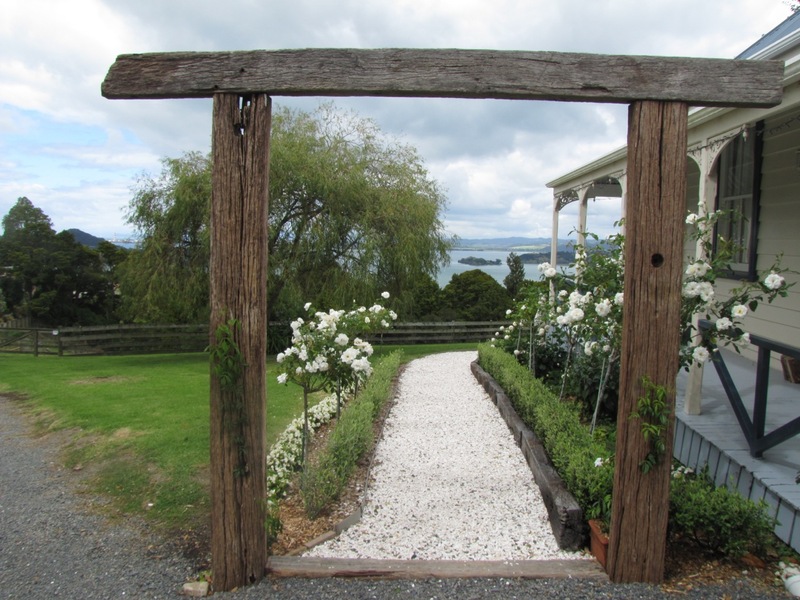 With one nights accommodation in the beautiful Kauri Villas including a delicious full cooked breakfast. We can even take care of the celebrant, photographer, flowers, decorations, music and catering. Special off peak rates available from May – September. Starting from just $895. 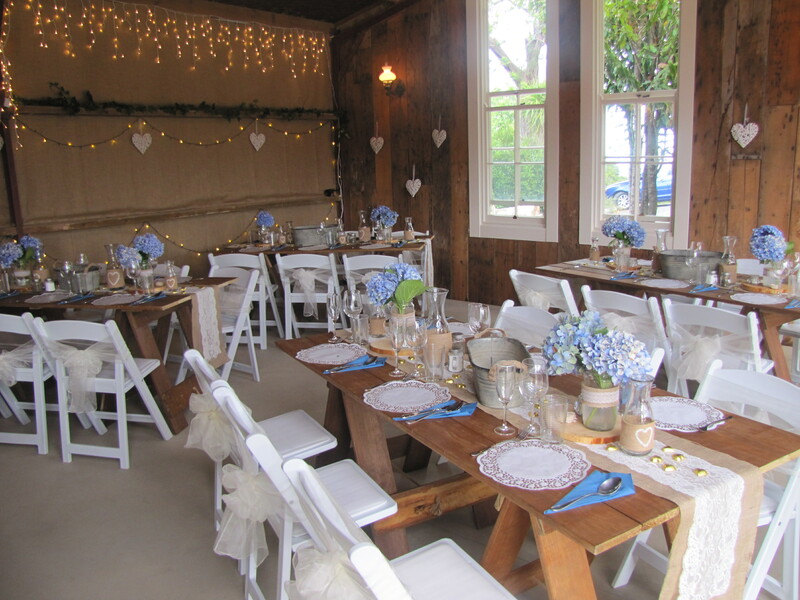 Decorations – By arrangement, We have a number of wedding items for hire. White wedding chairs or bench seats (as pictured). 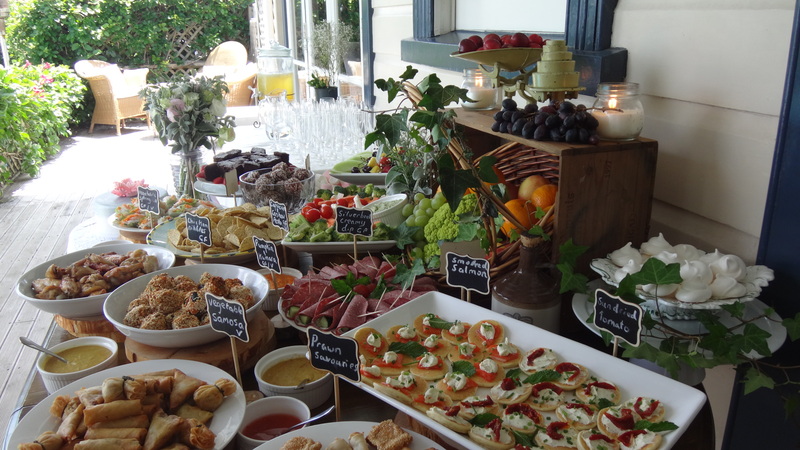 Wedding Buffet: We have a variety of options available, from an afternoon tea, to a fully catered affair. We can discuss your needs and provide a quote to suit your requirements. Accommodation – Additional nights accommodation at the standard room rate. 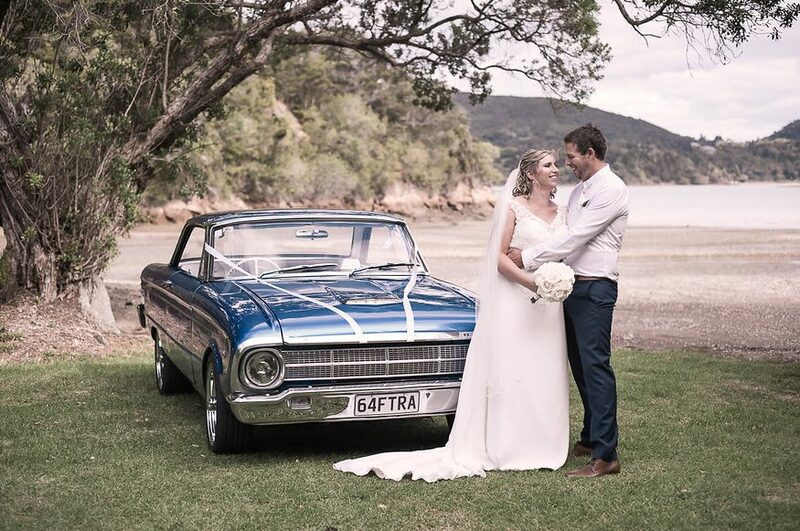 Wedding car hire – Talk to us about our classic 1964 Ford Futura Coupe. 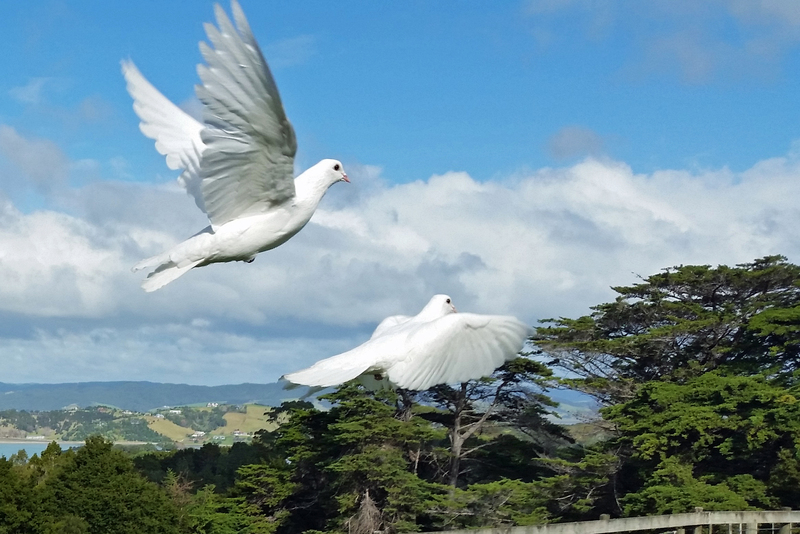 Dove release – We can arrange for a release of white doves for your ceremony. 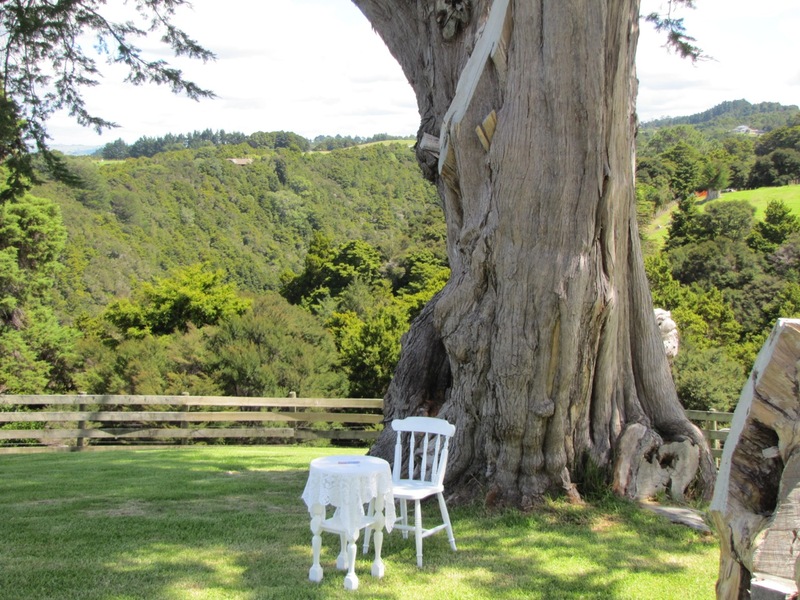 For your next special event, check out Kauri Villas. 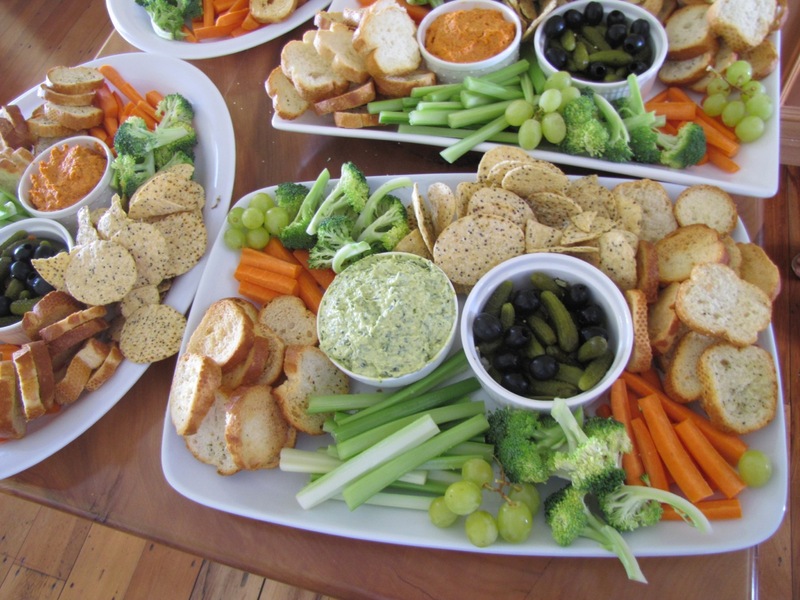 We can cater from 15 to 50 guests, offering delicious food in the ambience of a bygone era. During the cooler months enjoy authentic food cooked in the traditional wood stove. Whether you are celebrating a birthday or anniversary, getting together for a retreat, or your end of year Christmas function, talk to us and we can tailor a package to suit your needs.